The Royal Challengers Bangalore (RCB) failed to carry forward the winning momentum as they faced their seventh defeat in the 12th edition of the Indian Premier League (IPL). The franchise, under the leadership of Virat Kohli, lost to the Mumbai Indians (MI) by five wickets at the Wankhede Stadium in Mumbai for the second time this season. With the loss, RCB virtually got knocked out of the tournament with a very few chances of qualifying for the playoffs. The MI won the toss and asked the Challengers to bat first. Jason Behrendorff drew the first blood as he dismissed Virat Kohli in his second over. Parthiv Patel continued to play his shots without nurturing any inhibitions as he scored 28 runs with four fours and an over-boundary. Thereafter, AB de Villiers and Moeen Ali put their heads down and added 95 runs for the third wicket in 61 balls to set the platform for the fireworks in the end. ABD and Ali’s partnership was broken by Lasith Malinga, who nipped out Moeen after the Englishman notched 50 runs off 32 deliveries with one four and five sixes. 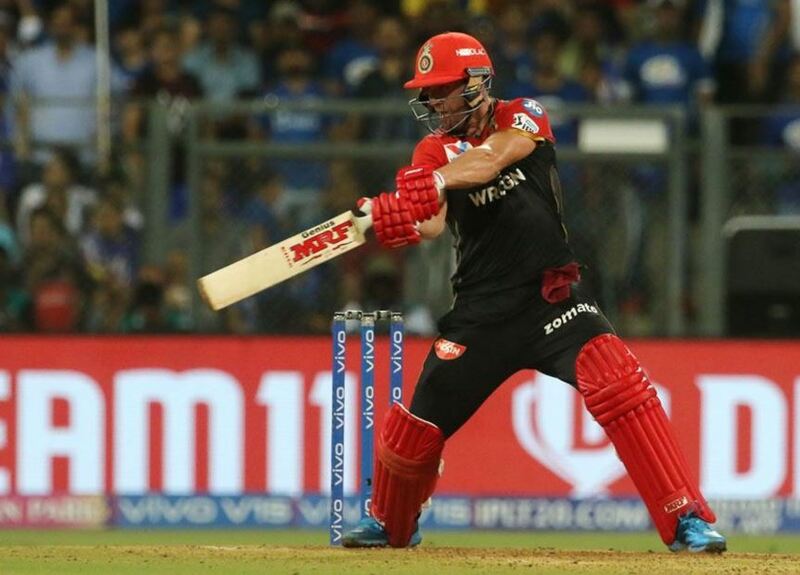 At the other end, De Villiers kept on smashing the MI bowers as he scored 75 runs from 51 balls with the help of six boundaries and four sixes. 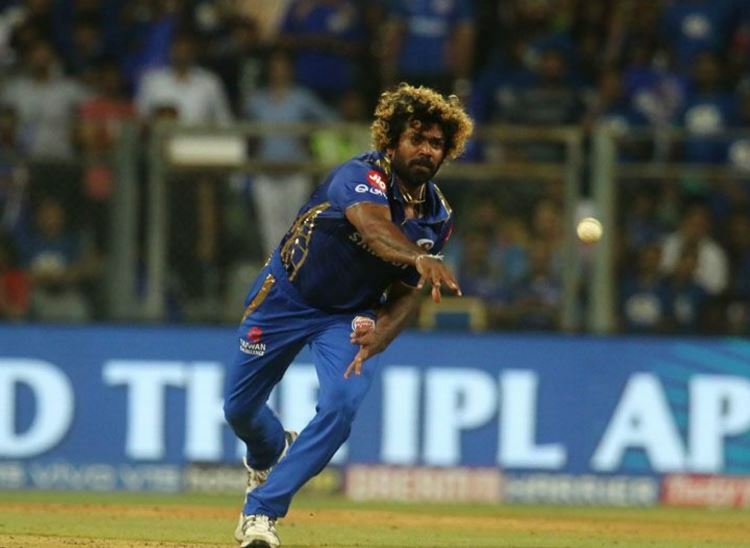 For Mumbai, Malinga was the most successful as he finished with a four-wicket haul and restricted RCB to 171 in 20 overs. During the chase, both the MI openers, Rohit and Quinton de Kock started smashing the RCB bowlers from the word go as they amassed as many as 67 runs for the power play. They added 70 runs for the first wicket before the skipper getting out to Ali on the first ball of the 8th over followed by De Kock on the fourth ball of the over. After the dismissals of the openers, Surya Kumar Yadav and Ishan Kishan added 33 runs for the third wicket before the latter got out in the 11th over. Yadav also got out early in the 16th over leaving MI requiring more than 40 runs in last 5 overs. 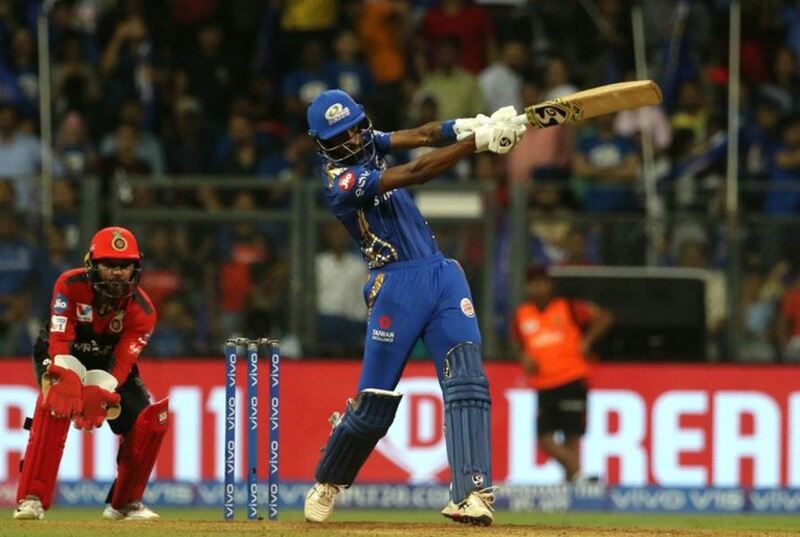 Both the Pandya brothers, Hardik and Krunal was batting and the elder one got out to Mohammad Siraj in the 18th over with RCB requiring off the last two overs. Pawan Negi came out to bowl in the 19th over and he started with the dot but what followed in the next four balls was a complete massacre from Hardik. He smashed two sixes and as many fours followed by a single on the final delivery to take MI over the line with 6 balls to spare.